Heating season is among us, which means you need to know your facility’s boilers are ready and reliable for the fall and winter seasons. Boilers and water heaters have finite service lives. They will eventually require replacement or repair, even with comprehensive maintenance. Even though a unit’s age is a key consideration, it’s not the only factor property and facility managers must consider. When deciding whether to repair or replace a boiler, you should answer these four questions. How old is the equipment? As boilers age maintenance costs rise. Watching this trend is a key factor in determining whether to replace or repair your equipment. If these costs remain relatively flat, the better option is repairing the boiler. 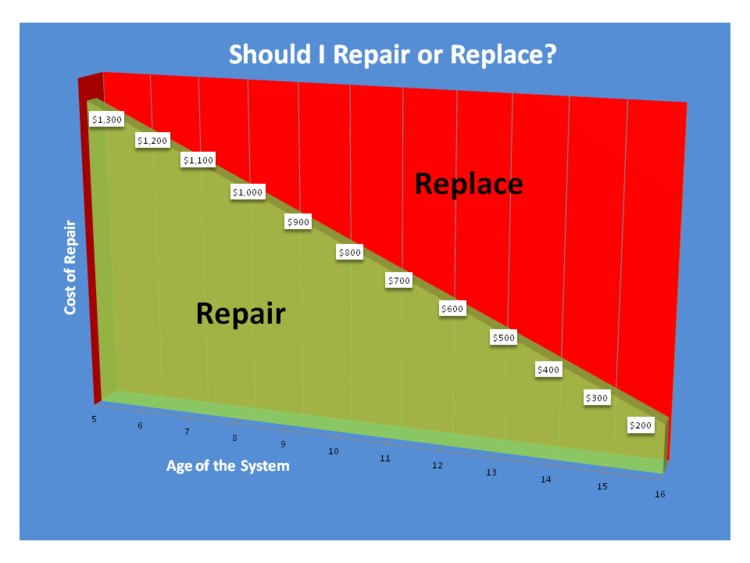 If frequent repairs are needed, and costs are consistently rising, this may indicate the time for replacement. What is the operating history? Same make and model of boilers operating in similar facilities will often have different operating histories. Set-up, operating practices and maintenance are main factors in causing these differences. Property and facility managers are encouraged to review their boiler’s history to decide if replacement is a better option. Is the boiler running efficiently? New boilers offer substantial increases in annual operating efficiency when compared to boilers only 10 years old. When evaluating options, managers should consider the annual savings from installing a new, higher-efficiency unit. What is the configuration of the equipment? Older installations of central boilers and water heaters tend to feature one or two large units. This set-up often forced operators to cycle one boiler to match part-load operating conditions. By comparison, new, centralized systems use several smaller boilers, which allows operators to better match system capacity to facility needs and improve operating efficiency. If you need help with to repairing or replacing your boiler, give Continuum Services a call at 248.286.5200. We’re happy to send one of our experienced technicians to your facility to help you evaluate your equipment.